If Halloween spooks and treats are what you seek then brave the graveyards ghouls and ghosts in Halloween Horrors. 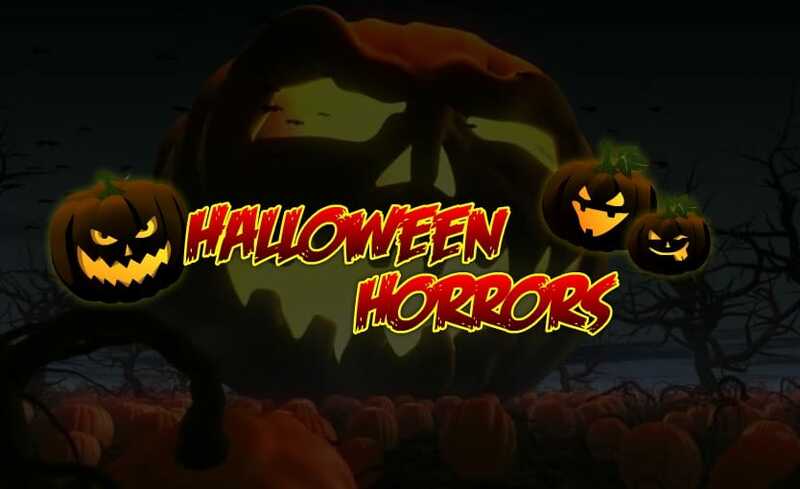 This scary new online slots game from 1x2gaming is perfect for any lover of Halloween, although instead of sweets in this game you will be filling up your pockets with some pretty delicious cash prizes. Check out our entire list of best slot games at SlotsBaby now. Based out of the UK 1x2gaming was originally founded back in 2003 and since then they’ve been regularly creating entertaining content. Their games are always exceptional, and they’ve amassed a large library of great slot games that are loved all over the world. If you fancy checking out some more games by this team then we suggest taking some time to try a few of the following titles. Click the link to discover more features on SlotsBaby! Spooks and scares really are this games bread and butter as its design has everything you could think of when it comes to Halloween. Set within a creepy graveyard on a dark and foggy night, a gigantic full moon shines down upon you as you spin this slots reels as a witch’s silhouette glides across the cold night sky. 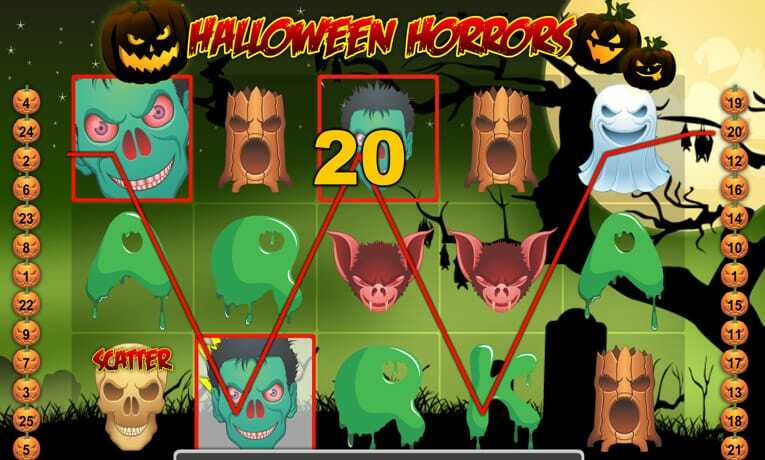 Zombies, pumpkins and ghosts stare out at you from the reels and as unnerving as they are these are the symbols that you need to match up for cash prizes. So be brave and spin those reels if you want to get your hands on some sweet rewards. Speaking of rewards, if you want to win big in this game there’s some features that you should keep an eye out for. SOLO CASH PRIZES: Each of the symbols on this slots reels have their own worth associated with them and some pay out bigger than others. The witches hat for example will pay out with six coins when you match two of them, whilst the black cat only pays out with two. WILDS: The evil looking pumpkin is WILD in this slot and it will substitute for other items in your lines. Plus, it will also pay out with the highest possible prize on each spin. FREE SPIN BONUS: If at least three skull Scatter symbols appear in your lines then this bonus will trigger and you will earn 10 free spins. The more Scatters that appear the more spins you get and with 15 free spins on the line it’s a bonus you don’t want to miss out on. Plus, all your wins in this round are doubled. FREE SPIN SCATTER: Represented by the headstone, this symbol only appears during the free spin round and will reward you with huge multipliers for each one you land. Three of them gets you 22x whilst five lands a whopping 400x your original bet. 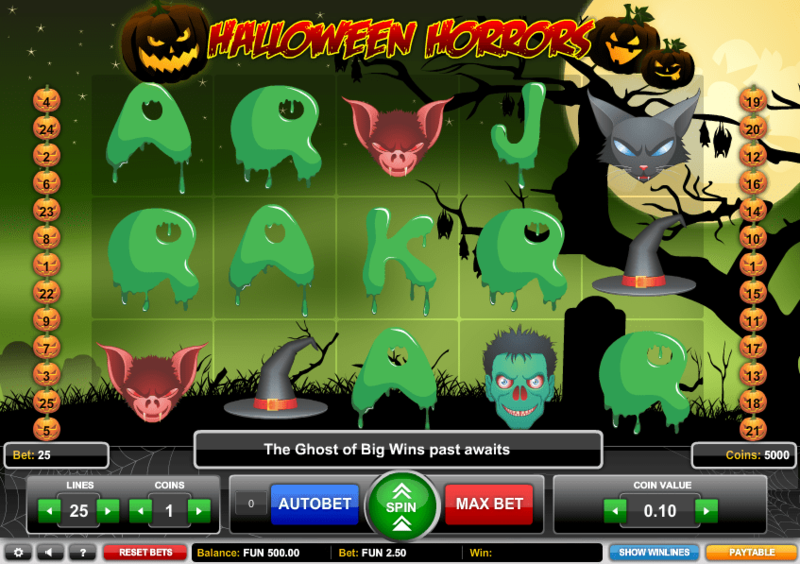 This spooky slot has a hilarious Halloween art style, its gameplay is simple yet fun and the potentially big pay-outs from its bonuses are enough to warrant regular sessions with this game. Halloween Horrors is one slot we recommend checking out. If you liked Halloween Horrors then you might also like Neon Jungle.